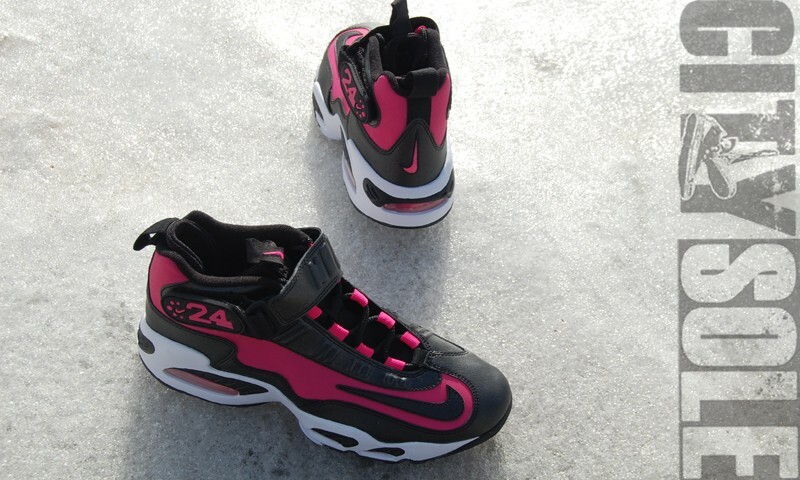 The Air Max Griffey is available in a colorway exclusive to customers who probably never saw him play. Ken Griffey Jr. was putting baseballs in the seats before most kids were even born, but that doesn't mean they can't appreciate his legendary signature shoes. 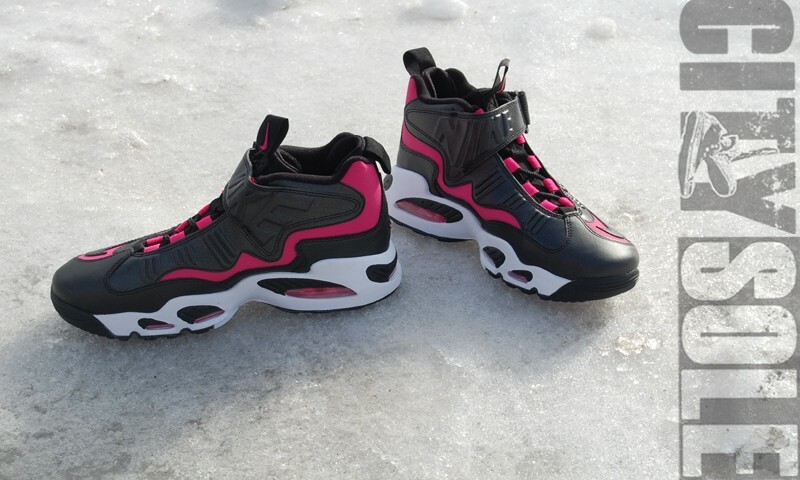 Never one to miss out on an opportunity, Nike is giving young ladies the opportunity to feel some of "The Kid's" magic by releasing his Air Griffey Max I in a pink-based colorway. 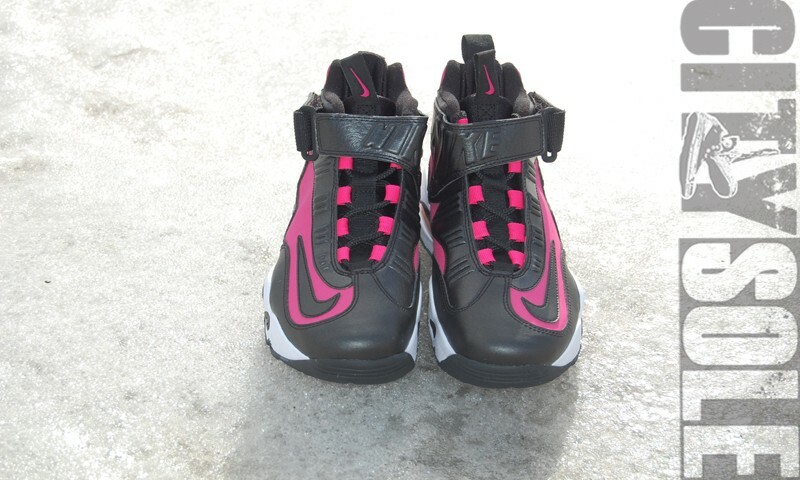 A black leather upper is contrasted by spark pink nubuck paneling on the sides and heel of the shoe. 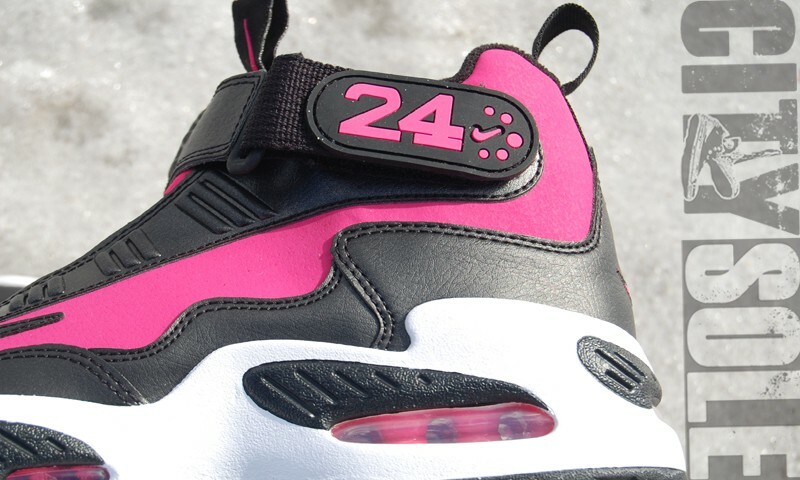 Pink also hits the '24' on the cross-strap and the full-length Air unit, which is encased within a white midsole. 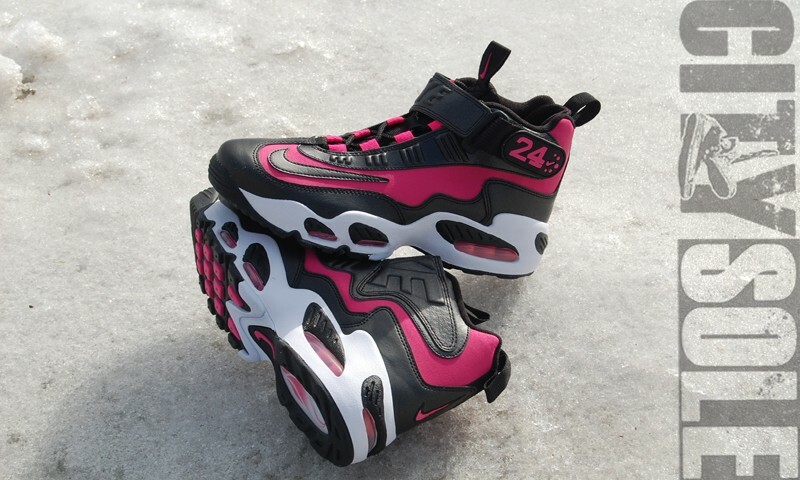 The GS Air Griffey Max I is currently available to purchase at CitySole.